American Idol's Candice Glover Sings Billie Holiday's "You've Changed"
Home American Idol Candice Glover performances American Idol's Candice Glover Sings Billie Holiday's "You've Changed"
Each week Candice Glover delivers at least one breathtaking performance on American Idol. Last week she delivered a spectacular rendition of the Billie Holiday classic "You've Changed." Candice finessed the song like a pro. Don't miss her performance. 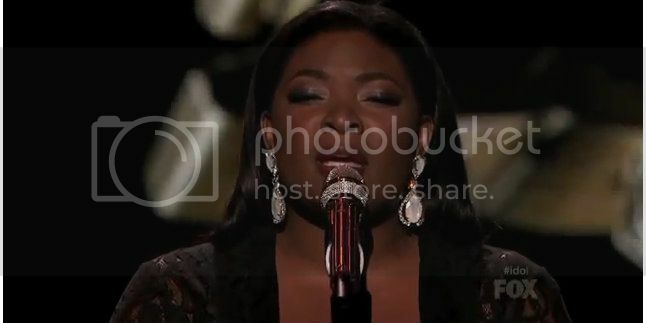 American Idol's Candice Glover Performs a Transcendant Rendition of "Lovesong"